Burning Sands is an act of bravery. Gerard McMurray, making his directorial debut, is a member of one of the most popular — and boisterous — of the nine black fraternities and sororities, Omega Psi Phi. The organization is home to such notable figures as Langston Hughes, Steve Harvey, Jesse Jackson Sr. and Jesse Jr., Shaquille O’Neal and Michael Jordan. Omega, like the other frats, is known for brotherhood, service and activism. And it’s especially known for stomping in combat boots whenever George Clinton’s 1982 “Atomic Dog” blasts from speakers. 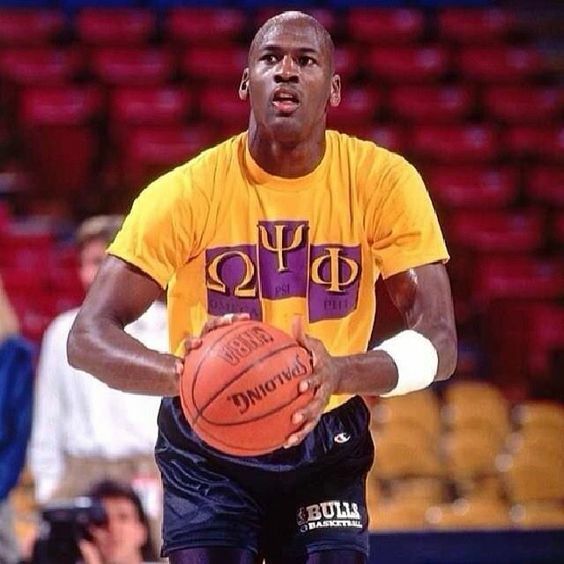 But this movie isn’t about Omega Psi Phi. It’s about black Greek life as a whole, for better or worse. And mostly worse. McMurray’s drama, Burning Sands, is about pledging a black fraternity and it’ll be a hot topic from the moment it hits Netflix servers on March 10. Because, much like the pledging process itself — when it’s done the right way — Burning Sands, shot in 18 days on a limited budget, is an exercise in tough love. Using graphic, even chilling imagery, the film has a simple message: stop hazing. Five young men are pledging “Lambda Phi” fraternity at the fictional Frederick Douglass University. Burning Sands was actually filmed in and around Virginia State University in Petersburg, Virginia, and the movie takes place over a week — “Hell Week” — or the most strenuous hazing portion of the pledging process. In the film’s first scene, Zurich (Trevor Jackson) and his five “line brothers” (one of whom quits at the end of this scene) are jogging in place in a forest. Suddenly, Zurich has to do push-ups while a hazer — an older member of the fraternity — viciously kicks him in the ribs. It’s a brutal scene. Pledges are taken to a barn to get punched in their ribs, hit with coat hangers across their feet and forced to eat dog food. Black Greek life is a cornerstone of the African-American college — and professional — experience. For some black college students, especially those at historically black colleges and universities (HBCUs), deciding on and pledging a fraternity or sorority is almost as important as figuring out a major. Black Greek-letter organizations represent community, college education and a network of professionals united by common bonds, and attacks on them are usually met with fierce resistance. And any attack on them perpetrated by a black person — especially one who is a member of one of these organizations, is most often seen as an act of betrayal. It’s a bit of an exaggeration to make this point, but Burning Sands could, in theory, do for black Greek life what Upton Sinclair’s 1906 The Jungle did to save lives by exposing the dangerous conditions of laborers in America’s meat-packing industry. The movie could do what Frederick Douglass’ autobiography did for slavery, revealing the horrors of institution. At the very least, Burning Sands may cause members of the Divine Nine to rethink their policies on hazing — which is actually very strict, and denounces any form of hazing. The thing is, when this anti-hazing policy was enacted in 1990, some chapters began going “underground” with violent pledge practices. As a result, hazing became more violent and also unsupervised by the usual graduate members and regional officials. There’s even a culture of shame surrounding people who weren’t hazed, as they’re called “paper” and often seen as being less deserving of membership if they weren’t at least paddled — but there’s no way to truly justify the practice’s continuance. “People who haven’t seen the whole movie have passed judgment,” McMurray said. “Burning Sands is a tale of brotherhood. It’s not an indictment of fraternities and sororities.” McMurray is, quite frankly, being too optimistic. The entire act of pledging a black fraternity or sorority is a demonstration of secrecy. No one knows who’s part of an incoming line of members until a big reveal, or a “probate,” and nobody is to know what happens during the pledging process. Hazing is commonplace in Greek life — as it is in with some marching bands (black and otherwise) and some athletic teams (black and otherwise). But most who have gone through the process speak about what they went through in vague, nonincriminating terms. Burning Sands removes the shroud of secrecy, exposing abuse. In 2010, Prairie View A&M University disbanded the Phi Beta Sigma chapter after attempting to cover up the group’s involvement in the death of 20-year-old Donnie Wade Jr. Wade suffered from acute exertional rhabdomyolysis, a rare disease in which strenuous activity results in sudden death. Instead of calling an ambulance, the pledges drove Wade to a hospital 30 miles away. He was dead on arrival. The tragedy is alluded to in Burning Sands. The members of my fraternity who pledged me made sure I had an enlightening experience. For me, the pledging process was about learning more about Phi Beta Sigma, getting to know my line brother and forming a lifetime bond with him and gaining a deeply profound appreciation for the organization I’d be a part of for the rest of my life. I was also 19 and young enough to drive 20 miles north at any time of night. When I talk to friends in other organizations and even to members of my own, they talk about endless violence and fear. For them, Burning Sands may ring truer. A general and very nonscientific consensus around the pledging process is: I don’t regret it, but I wouldn’t do it again. No matter what anyone’s personal experience is, we should all be able to agree to end hazing. Burning Sands is the most in-depth look at black Greek life in cinema. It has an important, if didactic, message that could save black fraternities and sororities. I just wish Gerard McMurray had shown more of the beauty that these organizations represent. Flaws and all.